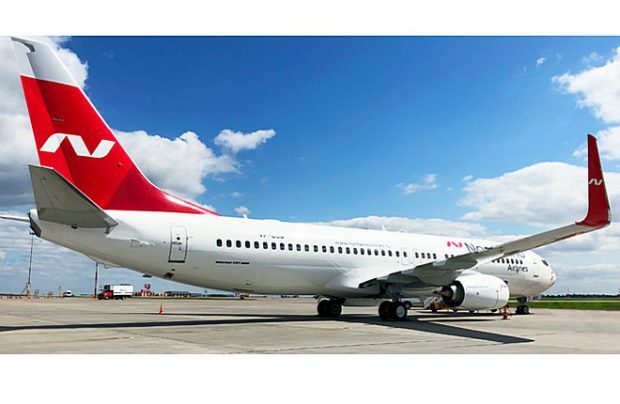 As part of its strategic plan to operate a younger, balanced fleet, whilst implementing a network expansion programme, Russia’s Nordwind Airlines has leased three brand new Boeing 737-800s. The narrow-body aircraft are on long-term leases from CDB Aviation, a wholly-owned Irish subsidiary of China Development Bank Financial Leasing Co (CDB Leasing). The first B737-800 was delivered to the airline last week, the second on the last day of July and the third is expected to arrive towards the end of this month. All three of the CFM56-7B26E-powered aircraft are configured in a single economy class layout with seating for 189 passengers, and are equipped with Sky Interiors and winglets. They will be operated on Nordwind’s domestic and international scheduled routes. This new arrangement is the first co-operation between Russian carrier and the leasing company. “We are pleased to welcome our new customer, Nordwind Airlines, to CDB Aviation’s growing European customer network,” says Peter Chang, CDB Aviation’s chief executive. “With the addition of these three new B737-800s, our colleagues at Nordwind will be able to further advance their fleet expansion strategy in response to growing demand in the domestic air travel market,” he adds. “Nordwind is currently in a very advantageous position in the Russian market, operating domestic and international regular flights, and this position has by now been recognised among our competitors,” notes Oguz Senol Yuce, Nordwind Airlines’ vice-chairman. “The main goal is to form a younger, well-balanced fleet, which consists of the most popular aircraft models,” he points out. In the meantime the airline has successfully completed its long-haul fleet modernisation plan for this year. With the arrival of second replacement Airbus A330 on July 25th, its widebody fleet total was brought to 10 aircraft. The Moscow, Sheremetyevo-based airline, along with its sister carrier Pegas Fly (Ikar Airlines), is part of the Turkish-backed Pegas Touristik Group. The two plan to expand their combined fleet to 50 aircraft this year. Pegas Fly currently operates four Вoeing 737s, six Вoeing 767s and thee Embraer 190s. The airline is expecting to take delivery of four more E190s. In 2017, NordWind rose to ninth place in terms of passenger numbers among Russia’s airlines, after almost doubling its 2016 passenger total, serving 3.5 million customers in the process. Its scheduled passenger traffic grew by a multiple of 3.5 in the period. Its progress accelerated even further this year, with the airline moving further up the ladder, currently ranking seventh. However, it has stopped publishing its performance figures. Nordwind’s route network, which has risen to more than 200 destinations within Russia and internationally, now offers the biggest direct route connections among all of Russia’s airlines operating out of Crimea’s Simferopol airport, thereby providing 27 Russian cities with regular air service connections. Its fleet consists of 24 aircraft of four types: Boeing 737s, Boeing 777s, Airbus A330s and Airbus A321s.